ShrinkFast Trigger and Igniter used as the kinetic clicker to electrically charge your spark plug. ShrinkFast Safety Guard to prevent unintentional ignition. ShrinkFast Trigger Spring maintains consistent pressure. ShrinkFast Valve Assembly receives regulated flow of propane and sends it to flow-through portions of the heat tool. ShrinkFast US Adapter meets US standards of all propane regulatory boards. ShrinkFast Filter Holder holds the rear propane filter into place. ShrinkFast #2 O-Ring seals the filter holder assembly to ensure there are no leaks. ShrinkFast Filter Disc filters particulates from fuel to maintain integrity of the heat tool's fuel delivery system. ShrinkFast Filter Spring provides pressure on fuel line filter system so the filter disc stays properly aligned. ShrinkFast Orifice Assembly injects propane into the fuel body with perfectly aerosolized precision. ShrinkFast #6 O-Ring seals fuel delivery line and fuel inlet to prevent leaks. 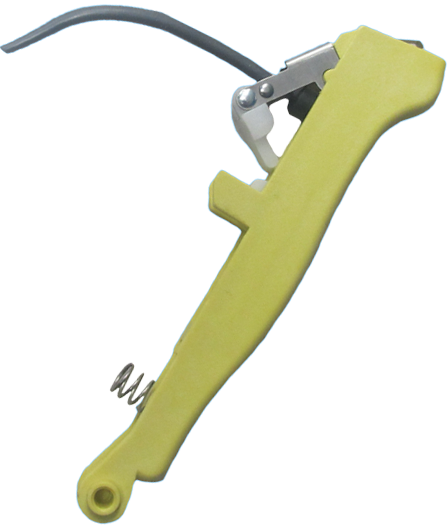 ShrinkFast Retainer provides rigidity in the fuel line assembly when connecting LINE to INLET. ShrinkFast Fuel Line routes propane to its inlet. ShrinkFast Inlet receives fuel from fuel line. Also provides compartment for filtering and distribution of said fuel. ShrinkFast Pump Body provides a compartment for the propane to be combined with oxygen and be pushed into the igniter. 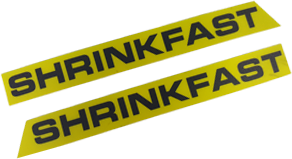 ShrinkFast #11 Right and #12 Left Labels. ShrinkFast Right Hand Housing keeps the internal components safe from damage. 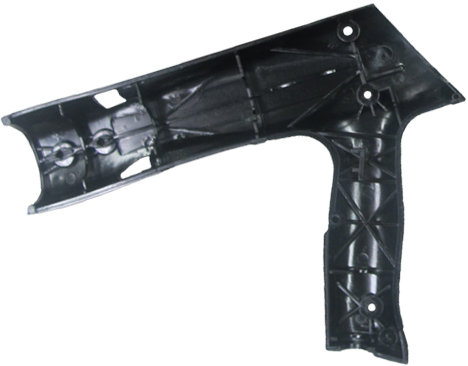 ShrinkFast Left Hand Housing keeps the internal components safe from damage. ShrinkFast fits into the socket to pass electricity through to the spark plug..
ShrinkFast Contact Spring provides pressure between socket and contact spring to keep the connection strong. ShrinkFast Socket facilitates the passing of electricity to your spark plug, allowing it to ignite. ShrinkFast Spark Plug has a 4mm gap and ignites propane. ShrinkFast #29 Assembly Screws connect the right and left handles to your internal components, ensuring nothing falls apart when you're working. 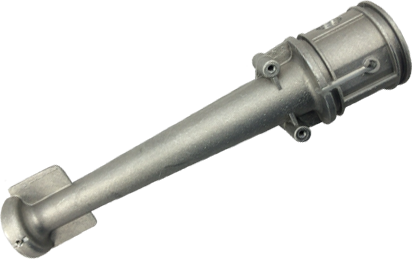 ShrinkFast Combustor provides the ignited propane with a nozzle that focuses the flame into a fan. ShrinkFast Button allows for slick pressing actionn. 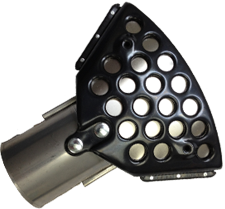 ShrinkFast Flameholder provides the ignited propane a static location to maintain a consistent flame. ShrinkFast #33 O-Ring for sealing critical areas on main assembly. ShrinkFast Strap keeps the button from coming unstrapped. ShrinkFast Button Spring keeps the button in prime button form. ShrinkFast 25' Hose Assembly feeds propane from your tank to gun..
ShrinkFast Regulator Assembly maintains a steady flow of propane into your heat tool. ShrinkFast POL UL Fitting connects the regulator to the tank and contains excess flow valve. ShrinkFast Gauge provides a readout for your propane pressure off of your tank. ShrinkFast Box holds your heat tool - excellent for travel and rough environments. ShrinkFast Guard Screws hold the flame cage in place. ShrinkFast UL Guard keeps your eyes in the sky and your head in the game. 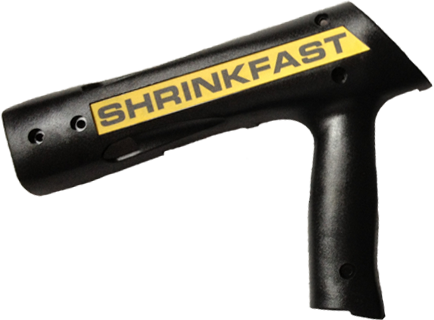 ShrinkFast UL Wrench lets you keep your heat tool in prime operating condition. 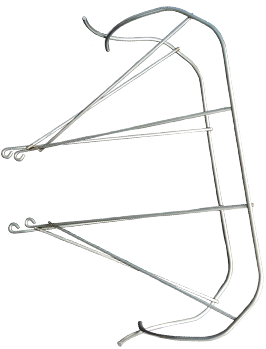 Flame Arrestor Screen Description: The mesh screen is installed in the combustor and wraps around the spark plug. 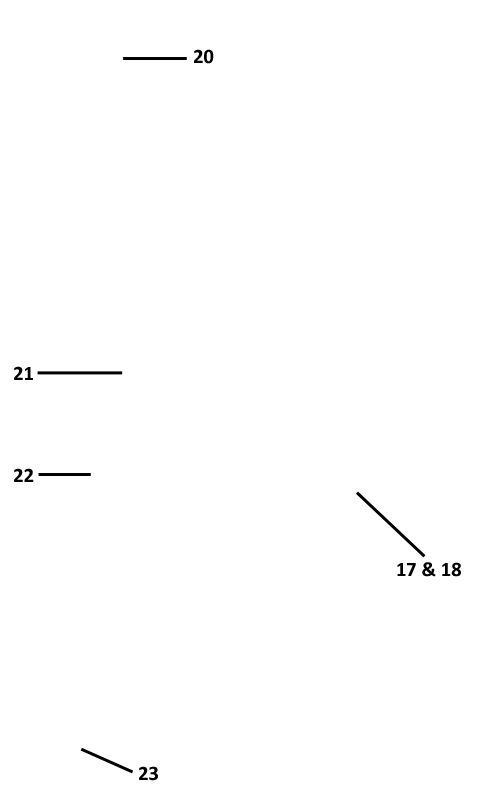 When the heat tool trigger is released, thus cutting off the flow of propane, the open flame is dissipated when it comes in contact with the screen. The screen stops the flame from continuing back down the body of the heat tool.